Verizon added the LG Exalt to its lineup, a basic flip phone with a 3-inch screen and great communication capabilities. 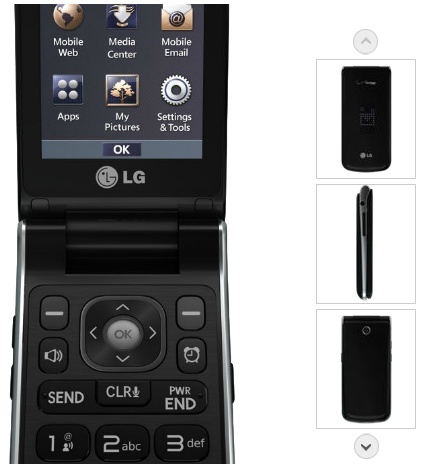 Yesterday, Verizon Wireless began selling the LG Exalt on its website, offering an interesting choice to customers who still enjoy the clamshell form factor and have no need for an Android flip phone like the Samsung W789. This Verizon exclusive phone features a 400 x 240 pixels 3-inch display, a 2 MP camera on the back, Bluetooth 3.0 and it supports microSD cards up to 32 GB. Even more, it also allows users to browse the Web using Opera Mini and to take advantage of its advanced messaging capabilities (the Exalt can read text messages aloud when needed). At last, the external display shows text message alerts, Caller IDs and counts missed calls. The LG Exalt is available for $79.99 with a 2-year contract, but also contract-free, for $199.99. It has support for Verizon’s CDMA network and its 900 mAh Li-Ion battery can provide up to 5 hours and 30 minutes of talk time.